Internationally renowned concert pianist Karin Nagano makes her Los Angeles debut with Music Director David Benoit and the Asia America Youth Symphony on Saturday, June 25, at 8 p.m. at Zipper Concert Hall, The Colburn School, 200 S. Grand Ave. in Los Angeles. The program will feature Piano Concerto #1 in C major, Opus 15 by Ludwig van Beethoven. Tickets are $15 (student), $30 (general), $45 (preferred) and $55 (premier). A discount of 15 percent is available for groups of 10 or more. For more information, call (310) 377-8977, email [email protected] or visit www.aasymphony.org. 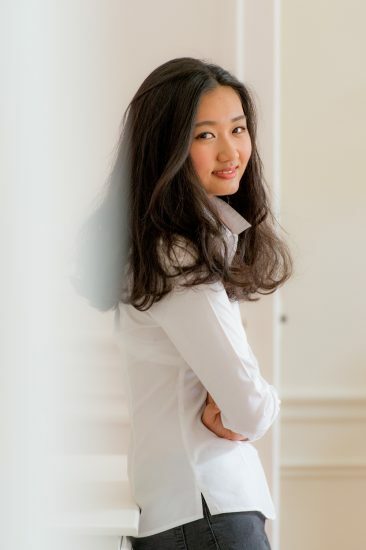 Born in Berkeley in 1998, Nagano began studying piano at age 3 and has worked with the internationally celebrated Germaine Mounier, Igor Lazko, Vadim Suhanov and Alexander Paley, as well as with Vera Gornostaeva in Moscow and Collette Zerah, the renowned French pianist and specialist in French repertoire. Nagano began competing internationally in 2007, winning First Prize at the Paris International Scriabin Competition and First Prize and Best Interpretation Prize at the Berlin International Piano Competition and First Prize at the Rubinstein International Piano Competition (2009-10). Since her professional debut in 2007 in a performance of the Mozart Piano Concerto K246 with the orchestra of Dr. Wachtang Korisheli, Nagano has performed with the Bayerische Staatsorchester at the Grassau Festival, Orchestre symphonique de Montréal, Tafelmusik Baroque Orchestra, the Schwaebisches Jugendsymphoniorchester, and the Attaca Orchestra. The 2013-2014 season featured her recital debut at the Festival Harmonies d’Automne in Paris, a concert of Beethoven’s Triple Concerto in Augsburg and an appearance in Montreal. In spring 2015 she appeared at Bravo Niagara! Festival of the Arts and in the summer made her U.K. debut at the Oxford Piano Festival. She travels extensively with her parents, conductor Kent Nagano and pianist Mari Kodama, regularly joining them on their international tours. Fluent in French, English, German and Japanese, she divides her academic and professional studies between Paris and Munich. Beyond the world of professional music, she enjoys creative writing, bicycling, painting, ballet, jazz dance, and swimming.